I am a person with many idiosyncrasies. 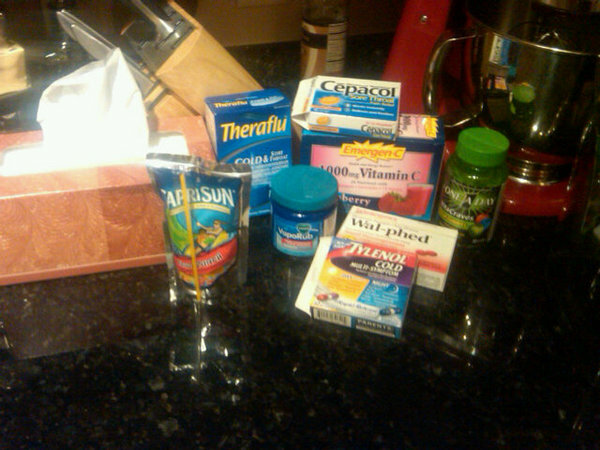 Those nearest to me catch on to these things and know how to take care of me, sometimes. This will be the first of many posts regarding the Feeding & Care of the American Domesticated Nadine. Today’s focus will be on how to take care of Nadine when she is sick. Nadine is a perpetual 7 when ill.
1. Nadine will whine, a lot. She will think it is the end of the world and wants sympathy and “you poor thing, you are so brave” through it all. Her mommy will not take care of her anymore, and though this is probably not a fatal case of the common cold, please treat her with the respect that these could be her final hours instead of calling her a dramatic crybaby. It’s a start. Now make with the pity. she has tried OTC remedies and is fearful that if some homemade voodoo does not work, her next step will have to be to see a medical professional. Please get her medicine in a timely fashion. When she asks for it, she wants it immediately. You would be surprised how much life turns around for everyone when Nadine is feeling a little better. 3. Feed her. She is sick and unable/unwilling to care for herself. If you cannot cook for her, check what kind of illness she is complaining of and adjust accordingly. Chicken soup is a good fall-back, but she would rather have chicken pot pie. It’s very comforting and she loves carbs. She also loves special treats and fruit punch. 4. Clean up around her. Along with her inability or unwillingness to feed herself, she won’t straighten up until she feels well either. Please commandere all housework until she is well, she will be very grateful. If she comes out of a Nyquil-induced coma to more of a mess than she anticipated, she will be very pissed upon having to clean it all up. 5. If she asks “Do I feel warm to you?” say yes and tell her to lay down and make her a cup of tea or ask if there is anything at all you can do for her. There you go, simple steps to mend your broken-down Nadine. Please visit Hyperbole and a Half for the revised pain scale to better understand why Nadine is a 7 when sick.